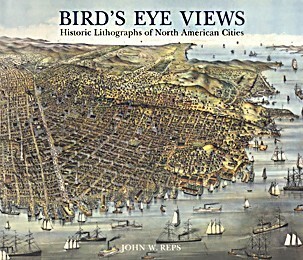 As new towns and cities spread across the American frontier in the 19th century, itinerant artists followed, documenting these growing urban centers by drawing aerial perspectives, also known as bird's-eye views. Commissioned by land speculators, civic organizations, and individual citizens, these popular renderings fostered both civic pride and local commerce. 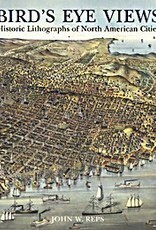 This sequel to An Atlas of Rare City Maps collects more than a hundred such views—from burgeoning cities like Baltimore, Denver, Indianapolis, Montreal, New Orleans, Pittsburgh, and Seattle, to small logging towns and mining camps—in full images and close-up views that often fill the book's 14-inch-wide pages.